•Candidate predominately played, coached and/ or made extraordinary contributions to the interior line of college football; and/or made contributions to the Outland Trophy. 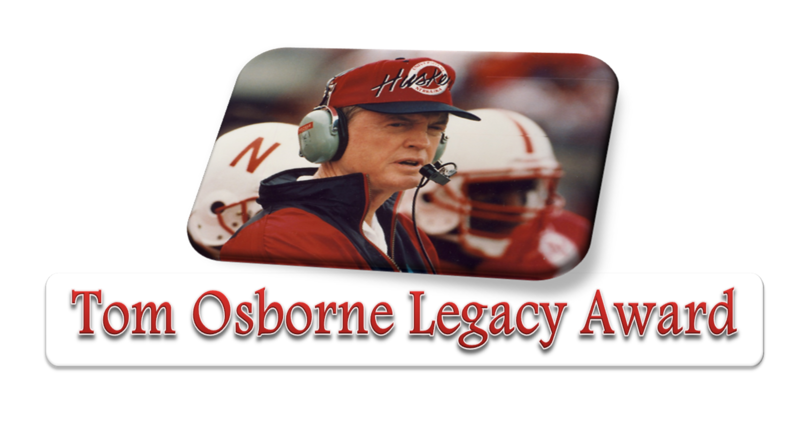 •Candidate exhibited the characteristics of integrity, sportsmanship and fair play associated with Tom Osborne. •Candidate continues to demonstrate a record of leadership in the community and continues to hold a record of good citizenship within and beyond the athletic field that is consistent with one of the award sponsors, Rotary Club of Omaha’s primary motto, “Service Above Self”. “Winner On and Off the Field”. 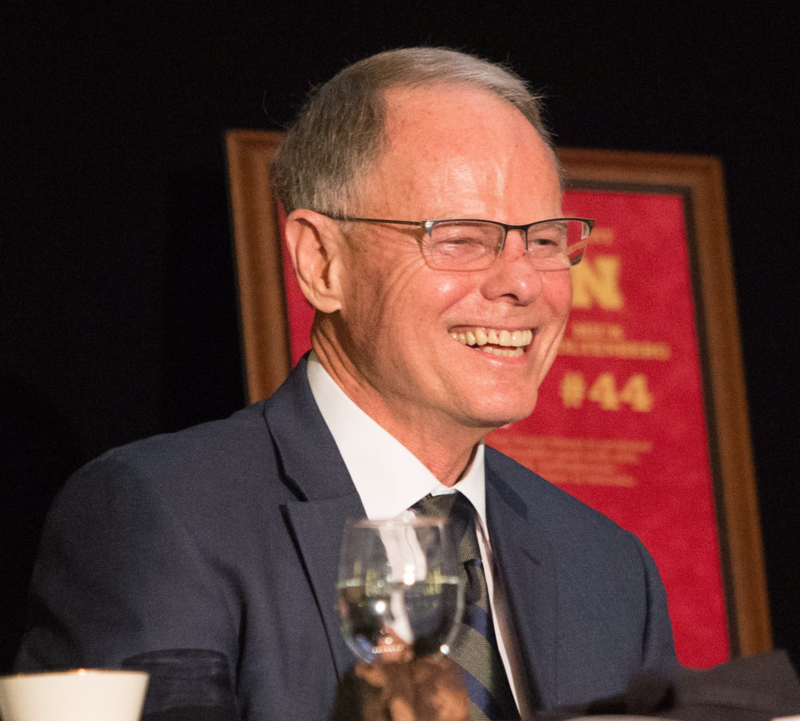 While winning 255 games from 1973-1997, 13 conference championships and three national titles as the head man, Coach Osborne was equally concerned about his players’ development and life after the game. His teams produced more Academic All-Americans than any other in college football during his era. He emphasized the full development of his players’ lives – academic success, character development, a good spiritual foundation and involvement in the community. Few if any coaches have impacted college football more than Tom Osborne when it comes to producing great linemen. His legacy of building a strong foundation in the trenches, whether it was on offense or defense, endures to this day. 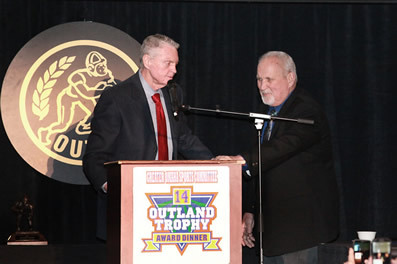 Coach Osborne has been involved with the most Outland Trophy Winners in the 69- year history of the award. 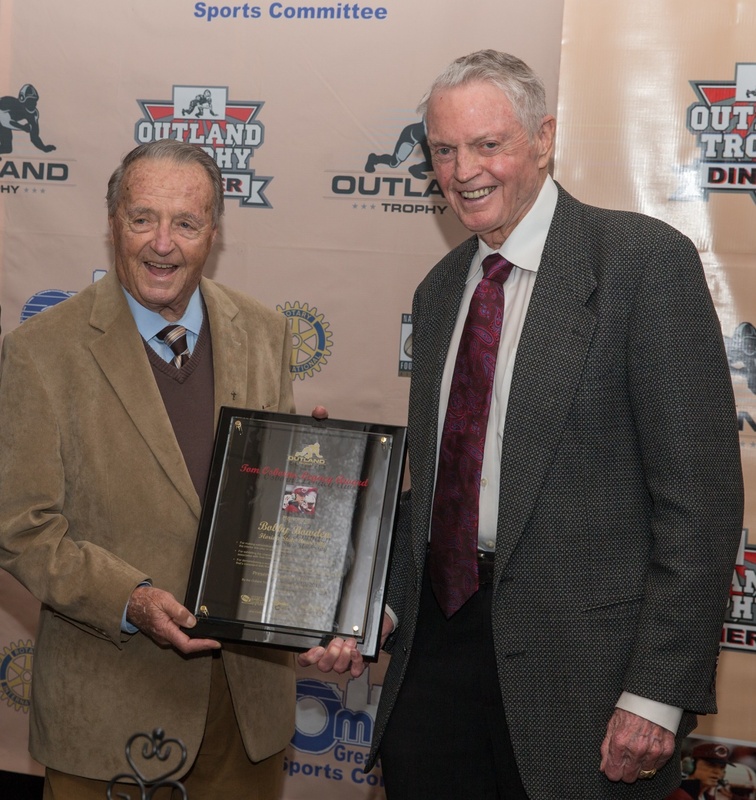 Starting with Larry Jacobson in 1971, Coach Osborne has been associated with all of Nebraska’s eight different Outland Winners, either as an assistant, head coach or athletic director. During Coach Osborne’s head coaching tenure, Nebraska’s ability to produce great linemen was unparalleled in major-college football. In only six of Tom Osborne’s 25 seasons as head coach did the Huskers fail to produce an All-American on the offensive line. His teams generated at least one first-team, all-conference offensive lineman every season. 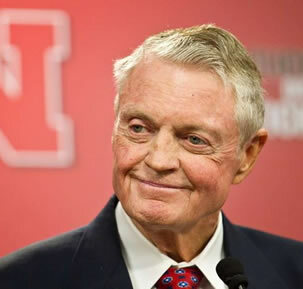 Tom Osborne not only has enjoyed success as a player, coach and athletic director, but he also has made a positive impact during six years of service in the United States’ Congress and with the founding of Team Mates, one of the country’s premier mentoring programs. 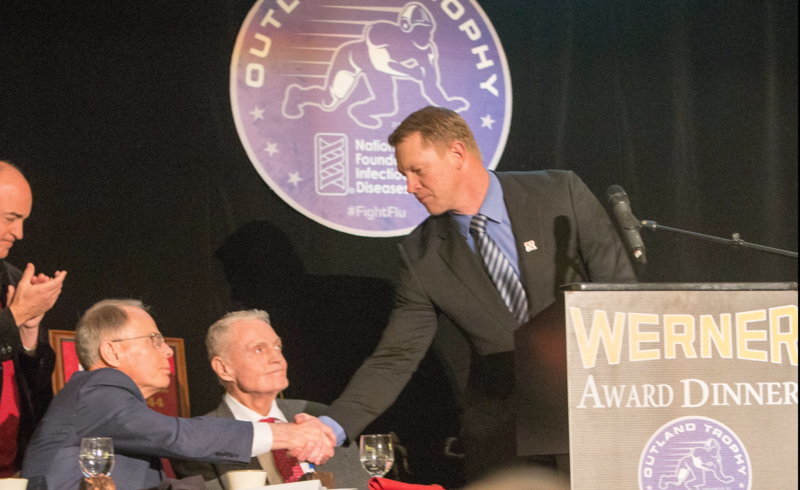 The Outland Trophy – Tom Osborne Legacy Award is established to recognize an individual who is a “Winner On and Off the Field”. 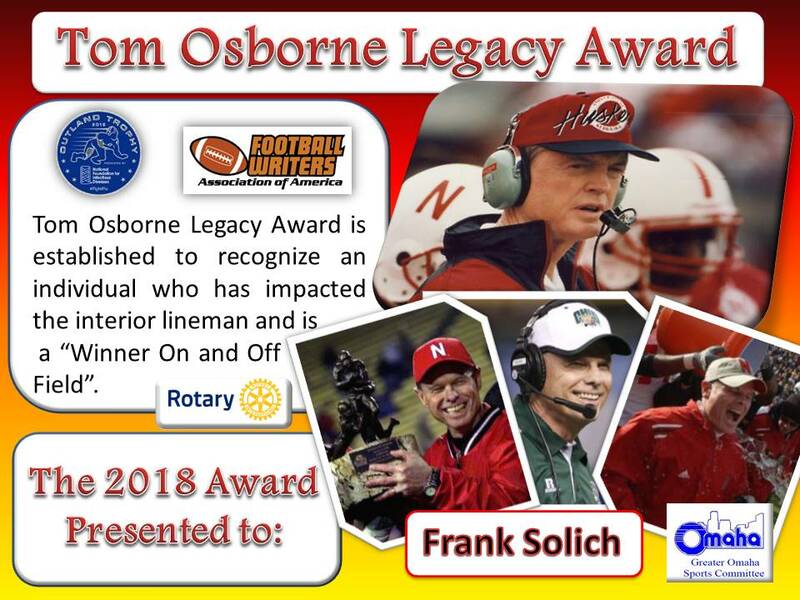 A national search is conducted and candidates are selected by the Outland Trophy Tom Osborne Legacy Award Committee. 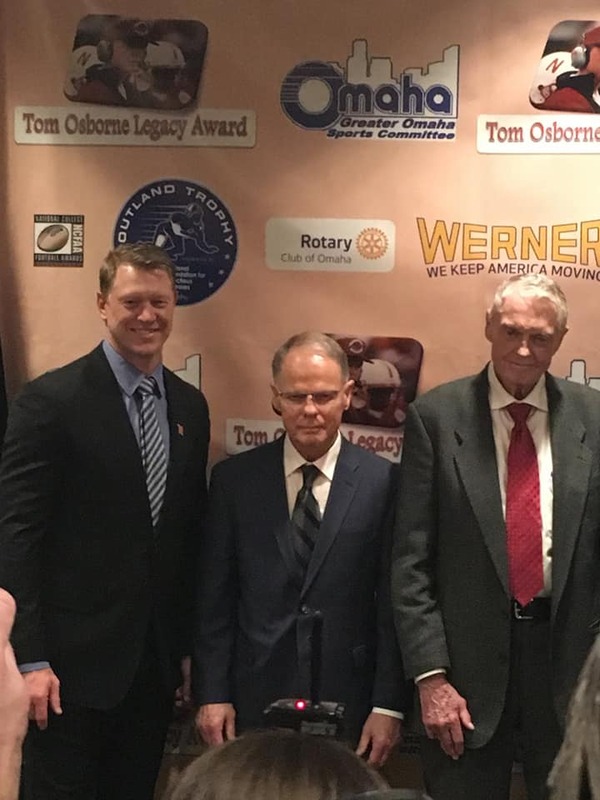 The Tom Osborne Legacy Award was presented — by Osborne to Frank Solich— at the Outland Trophy Werner Award Dinner at the downtown Doubletree in Omaha. 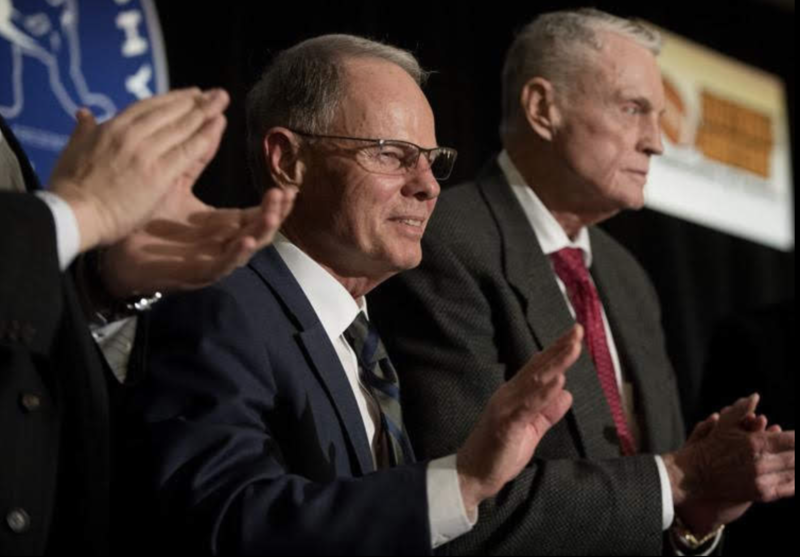 If you’re a Nebraska football fan, or even a sports fan in general, it was a remarkable scene: Tom Osborne and Frank Solich standing side by side at theAward Dinner, smiling and reflecting on good times and even not-so-good times. 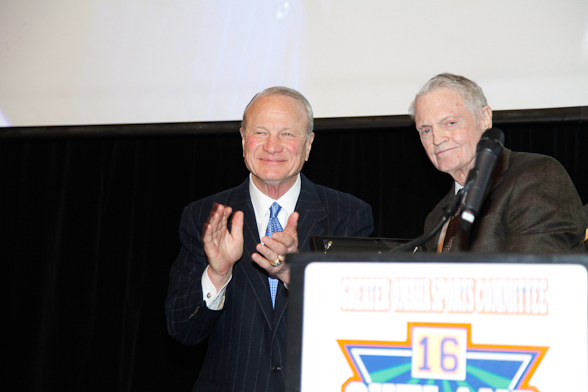 Solich received the Tom Osborne Award for his contributions to college football. The Night was a Special Night for Nebraska Fans as they an overwelming standing ovations welcomed Frank back. 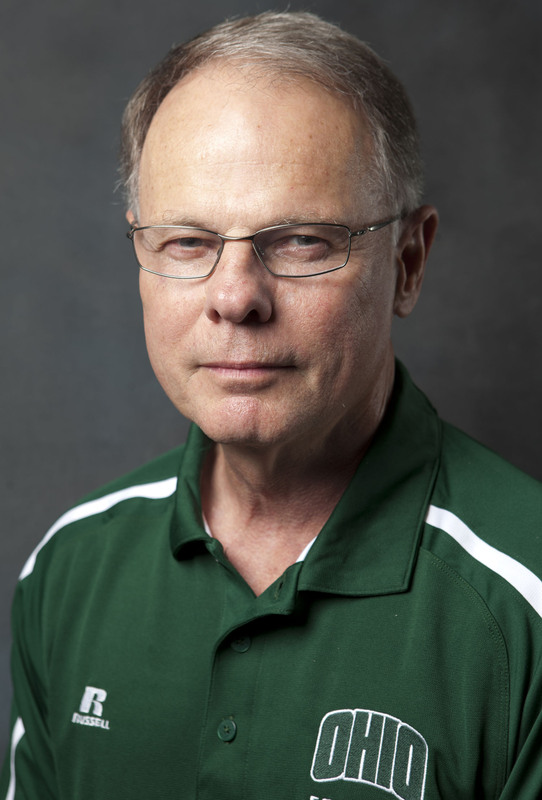 Head Coach Frank Solich has turned the Ohio football program from one of the least successful in the NCAA to the benchmark of consistency among the Mid-American Conference. Now in his 13th season (19th overall), the Bobcats have been bowl-eligible in nine of the last 10 years, having won 76 games since 2006 – the most among any team in the Mid-American Conference East Division – and have had student-athletes selected in the NFL Draft in seven of the past 10 seasons. 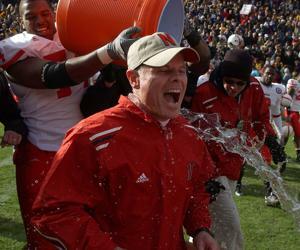 Nebraska spent 54 consecutive weeks in the Associated Press Top 10. 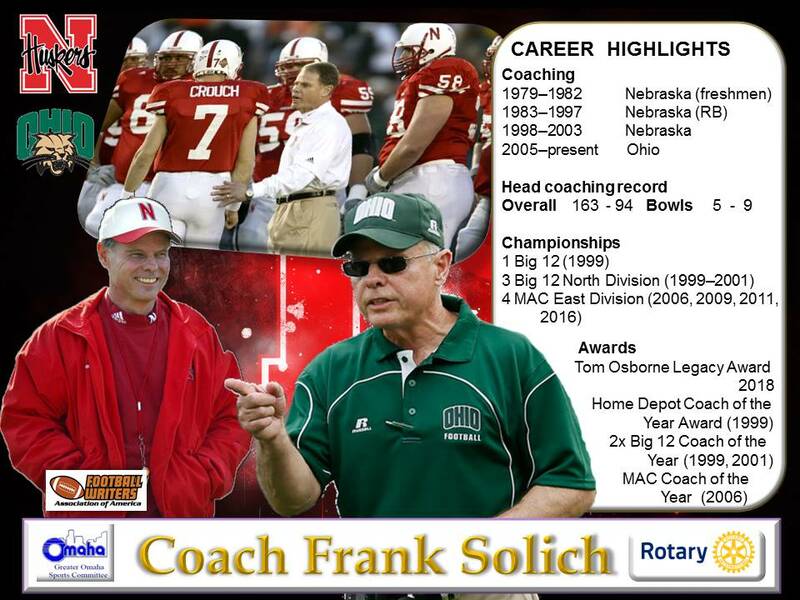 In his first five seasons as Husker head coach, Solich won 49 games, more than both his storied predecessors, Bob Devaney and Dr. Tom Osborne, in their first five years at Nebraska.